May 9. We stayed in Leon, with a side trip to Astorga, to visit the cathedral built by Gaudi. ​Saints conquering sinners? Spain's victory over the hordes from Africa? 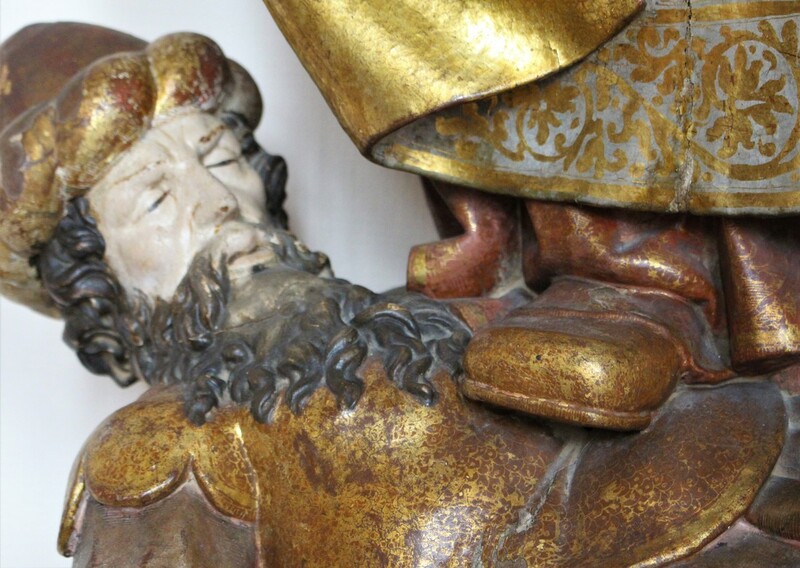 Turns out the foot belongs to Santa Catalina. He has no arms or legs, completely at her mercy. 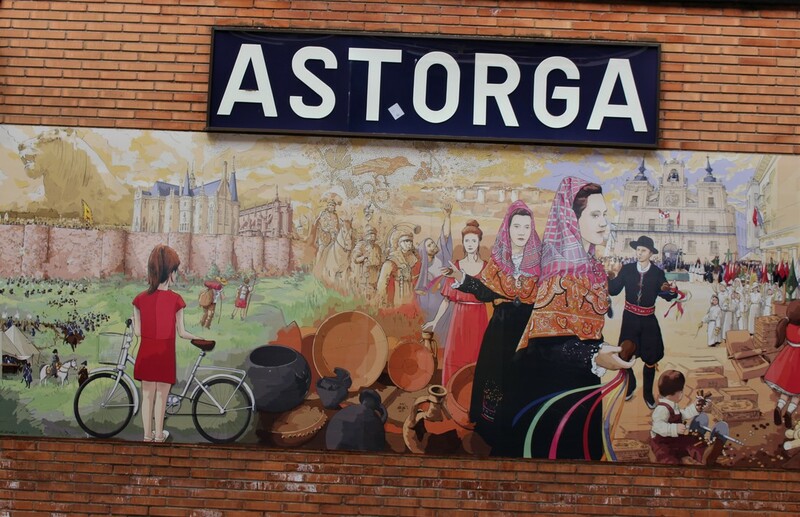 ​At the bus stop, this mural depicted hundreds of years of Astorga history. The cathedral reflected Gaudi's style in its structure and its stained glass. A smaller version, like practice, for his grand finale, the basilica in Barcelona. 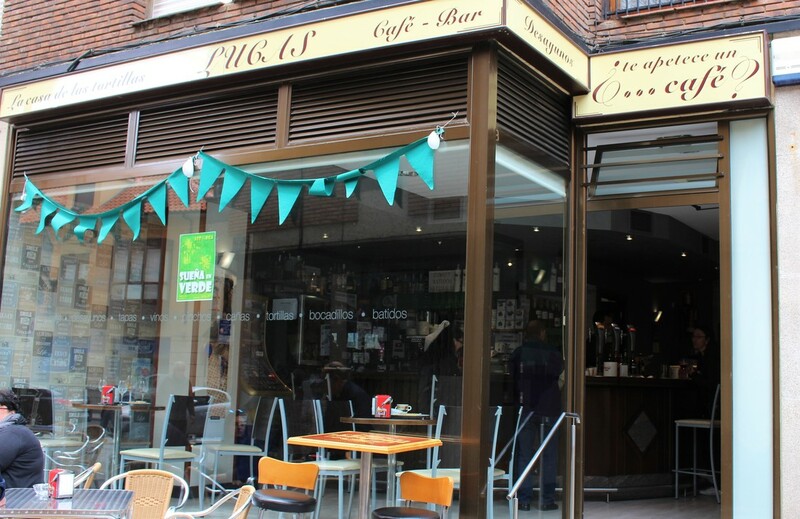 ​By now, I was a much braver traveler, and I wandered around Astorga on my own looking for a place to eat. As I didn't know exactly what I was looking for, I just finally said, "OK, this place." I walked in, and pointed at something in the front case. Without really knowing anything, I thought maybe they used the prepped food in the front case as a sort of menu, so I just pointed at something, and, quite contrary to what I was pointing at, I asked for paella. The guy/owner/person almost rolled his eyes, but he went into the back room, piled a bowl full of rice and stew and stuff and brought it back and lifted his eyebrows. So much the eyes can speak! I took the bowl, sat down and nearly licked it clean.